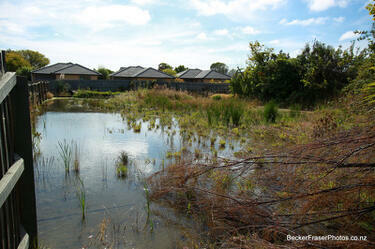 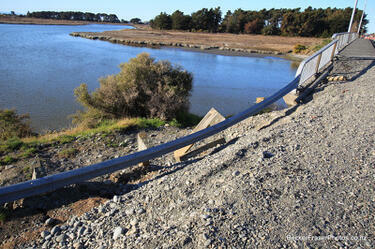 Photograph captioned by BeckerFraserPhotos, "Estuary Road, South Brighton". 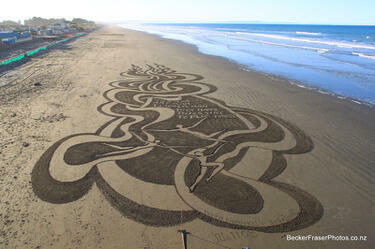 Photograph captioned by BeckerFraserPhotos, "Artwork by the Sand Dancer, New Brighton Beach". 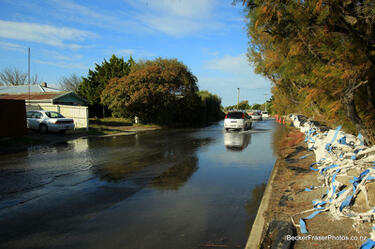 Photograph captioned by BeckerFraserPhotos, "Bridge Street, South Brighton". 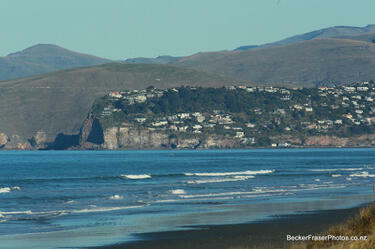 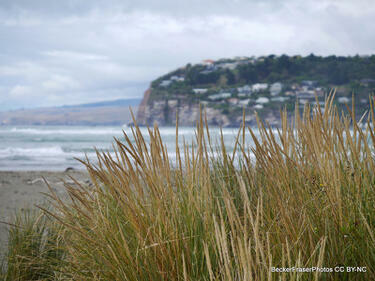 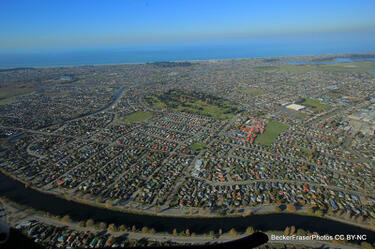 Photograph captioned by BeckerFraserPhotos, "A view of Scarborough from New Brighton". 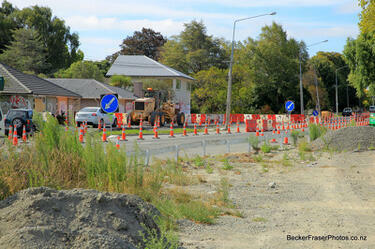 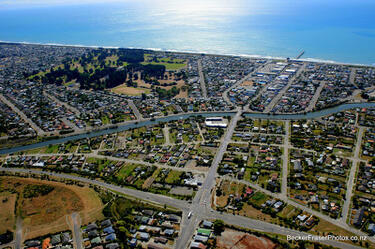 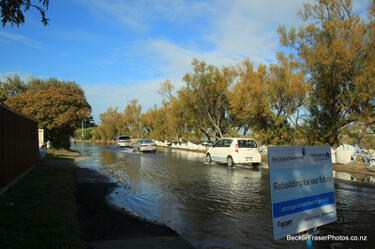 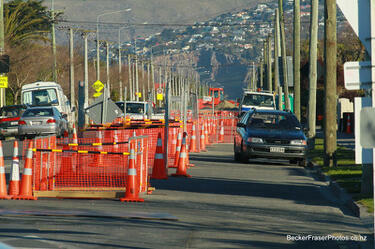 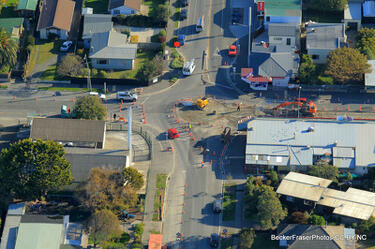 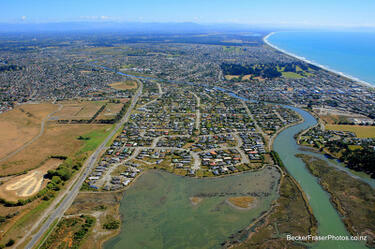 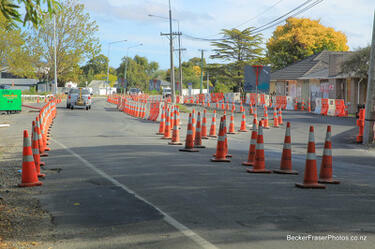 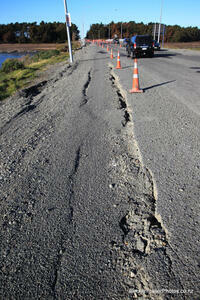 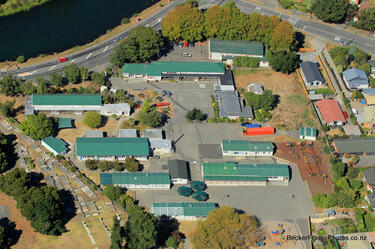 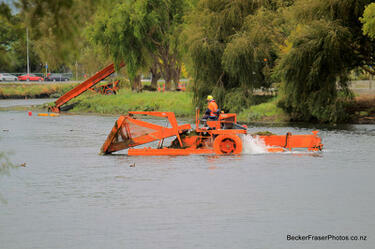 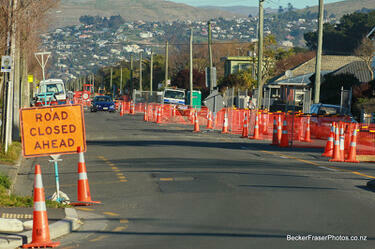 Photograph captioned by BeckerFraserPhotos, "Intersection of Bridge St and Estuary Road, New Brighton". 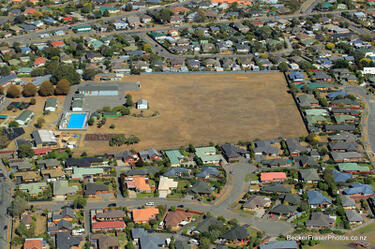 An aerial photograph of North New Brighton School in North New Brighton.